Wilshire Boulevard is one of the principal east-west arterial roads in the Los Angeles area of Southern California, extending 15.83 miles (25.48 km) from Ocean Avenue in the city of Santa Monica east to Grand Avenue in the Financial District of downtown Los Angeles. It is also one of the major city streets though the city of Beverly Hills. Wilshire Boulevard runs roughly parallel with Santa Monica Boulevard from Santa Monica to the Miracle Mile district, after which it runs a block south of Sixth Street to its terminus. 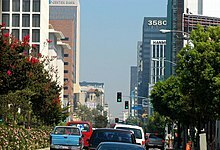 Wilshire Boulevard is densely developed throughout most of its span, connecting Beverly Hills with five of Los Angeles's major business districts to each other. Many of the post-1956 skyscrapers in Los Angeles are located along Wilshire; for example, One Wilshire, built in 1966 at the junction of Wilshire and Grand, is said to be "...the main hub of the internet for the entire Pacific Rim" due to the large concentration of telecommunications companies renting space there. Aon Center, at one point Los Angeles' largest (and presently third-largest) tower, is at 707 Wilshire Boulevard in downtown Los Angeles. One particularly famous stretch of the boulevard between Fairfax and Highland Avenues is known as the Miracle Mile. 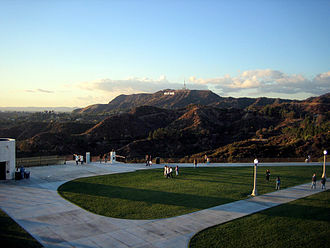 Many of Los Angeles' largest museums are located there. The area just to the east of that, between Highland Avenue and Wilton Place, is referred to as the "Park Mile". Between Westwood and Holmby Hills, several tall glitzy condominium buildings overlook this part of Wilshire, giving it the title of Millionaire's Mile. This section is also known as the Wilshire Corridor and Condo Canyon. 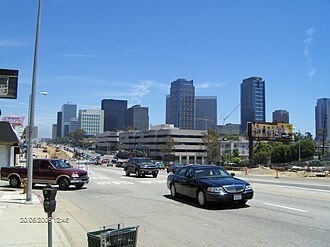 The Wilshire Corridor, located next to Century City, is one of Los Angeles' busiest districts, and contains many high-rise residential towers. The Fox and MGM studios are located in a series of skyscrapers, along with many historic Los Angeles hotels. 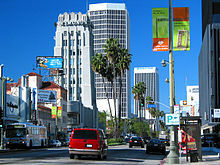 Wilshire Boulevard is also the principal street of Koreatown, the site of many of Los Angeles' oldest buildings, as well as skyscrapers. Koreatown and Mid-Wilshire are among Los Angeles' most densely populated districts. 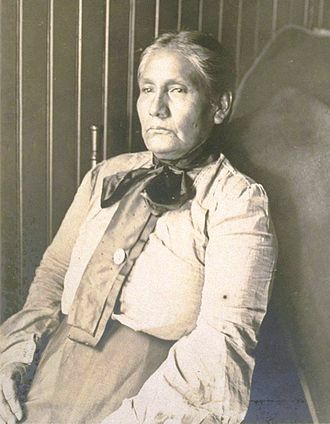 Much of the length of Wilshire Boulevard can be traced back to the indigenous Tongva people who used it to bring back tar from the La Brea pits in today's Miracle Mile section of Wilshire Blvd, back to their settlement on the coast. 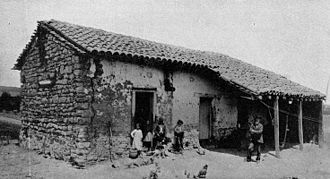 This road was later used by Spanish explorers and settlers, calling it El Camino Viejo ('The Old Road'). The route that ultimately became Wilshire crossed the original pueblo of Los Angeles and five of the original Spanish land grants, or ranchos. Wilshire was pieced together from various streets over several decades. 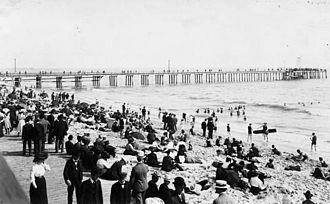 It began in the 1870s as Nevada Avenue in Santa Monica, and in the 1880s as Orange Street between Westlake (now MacArthur) Park and downtown. Nevada and Orange were later renamed as parts of Wilshire. The boulevard was named for Henry Gaylord Wilshire (1861–1927), an Ohio native who made and lost fortunes in real estate, farming, and gold mining. 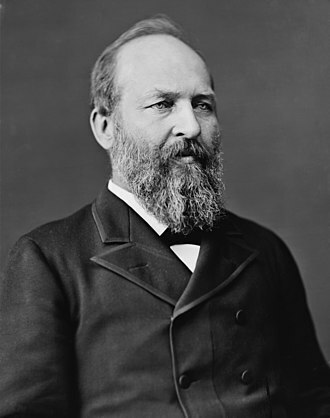 In 1895 he began developing 35 acres of a barley field, stretching westward from Westlake Park for an elite residential subdivision, and donated to the city a strip of land 120 feet wide by 1,200 feet long for a boulevard, on the conditions that it would be named for him and that railroad lines and commercial or industrial trucking would be banned. The road first appeared on a map under its present name in 1895. A historic apartment building on the corner of Wilshire Blvd. and S. Kenmore Ave., the Gaylord, carries his middle name. The Wilshire Boulevard home of J. Paul Getty was used as the filmset for the 1950 film Sunset Boulevard: it was demolished in 1957. The Purple and Red subway lines of the Los Angeles Metro run along Wilshire Boulevard from just past the 7th/Figueroa Street station before serving the Westlake/MacArthur Park and Wilshire/Vermont stations, where the Purple Line continues along Wilshire to serve two stations at Normandie Avenue and at Western Avenue in Koreatown, while the Red Line branches off to terminate in North Hollywood. The construction of the future Purple Line extension along Wilshire Boulevard commenced in November 2014. The construction timeline would see the project from the existing Wilshire/Western station to the planned Wilshire/La Cienega station on the corner of Wilshire and La Cienega Boulevard, to be completed by 2023. The second phase got officially under way on February 23, 2018 from Wilshire/La Cienega to Century City Station. Phase three of the Purple Line extension, when fully completed, will extend to UCLA and Westwood/VA Hospital, and will follow Wilshire Boulevard for most of its route. Phase four to downtown Santa Monica is still in the planning stages and has no funding. Metro Local Line 20, Metro Rapid Line 720, and Santa Monica Transit Line 2 operate along Wilshire Boulevard. Due to the high ridership of line 720, 60-foot (18 m) NABI articulated buses are used on this route, and bus lanes are in place along some segments of the line. All of the boulevard is at least four lanes in width, and most of the portion between Hoover Street and Robertson Boulevard has a raised center median. The widest portion is in the business district of central Westwood, where mobs of pedestrians crossing Wilshire at Westwood Boulevard must traverse ten lanes (including two left-turn pockets). According to a 1991 study by the Los Angeles Department of Transportation, this and the nearby intersection of Wilshire and Veteran are among the busiest in Los Angeles. The boulevard's widest portion is in Westwood and Holmby Hills, where it expands to six, and briefly, eight lanes. The sections of Wilshire Boulevard in the city of Los Angeles are notorious for their giant potholes. Wilshire Boulevard formerly ended at the MacArthur Park lake, but in 1934 a berm was built for it to cross and link up with the existing Orange Street (which ran from Figueroa to Alvarado) into downtown Los Angeles. Orange Street was renamed Wilshire and extended east of Figueroa to Grand. This divided the lake into two halves; the northern half was later drained. 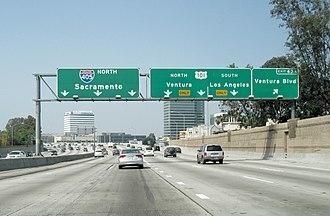 American singer Lana Del Rey mentions Wilshire Boulevard in the song Honeymoon on her 2015 album of the same name, as well as American Rapper Nipsey Hussle, in the song "Dreamin'" on his fifth mixtape titled "The Marathon". The 1997 film Volcano features the boulevard being destroyed by volcanic lava. On March 9, 1997, American East Coast rapper The Notorious B.I.G. was seated in the front passenger seat of an SUV, which came to a stop at the red light at the intersection of Wilshire and Fairfax. Another vehicle pulled up next to them, and the driver drew out a pistol and shot B.I.G. four times in a drive-by shooting, killing him. ^ Bullock, Dave (03 March 2008). 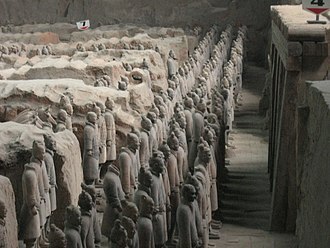 "A Lesson in Internet Anatomy: The World's Densest Meet-Me Room". Wired. Accessed 21 September 2013. ^ a b c "Birth of the Boulevard | Los Angeles Conservancy". www.laconservancy.org. Retrieved 2016-10-15. ^ "History". The Historic Gaylord Apartments. Accessed 21 September 2013. ^ Meares, Hadley (June 21, 2013). "The Gaylord Apartments: Luxury, Socialism, and L.A.'s First Failed Co-op". Departures. KCET. Retrieved 19 March 2016. ^ Hill-Holtzman, Nancy (06 January 1991). "Westside Has L.A.'s Busiest Intersections : Traffic: A city survey attributes the rush of cars to population growth and the area's attractions." LA Times. Accessed 21 September 2013. 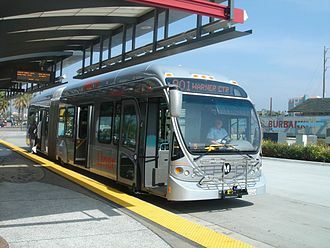 ^ Steven Leigh Morris, "L.A. Metro Buses Hammered By Potholes on Aging Wilshire Boulevard," LA Weekly, 5 September 2008. ^ "Lana Del Rey releases eerie new track, 'Honeymoon'". Entertainment Weekly's EW.com. Roderick, Kevin; J. Eric Lynxwiler (2005). Wilshire Boulevard: The Grand Concourse of Los Angeles. Los Angeles, CA: Angel City Press. ISBN 978-1-883318-55-0. Wikivoyage has a travel guide for Wilshire. 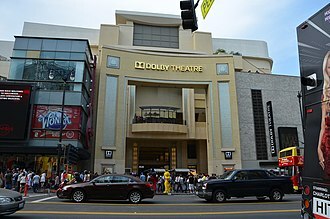 Wikimedia Commons has media related to Wilshire Boulevard. The Miracle Mile District is bordered by the Fairfax District on the north, Hancock Park on the northeast, West Los Angeles on the south and southwest, and Carthay Circle on the west. The districts boundaries are roughly 3rd Street on the north, Highland Avenue on the east, San Vicente Boulevard on the south, major thoroughfares include Wilshire and Olympic Boulevards, La Brea and Fairfax Avenues, and 6th Street. The districts ZIP codes are 90036 and parts of 90019, in the early 1920s, Wilshire Boulevard west of Western Avenue was an unpaved farm road, extending through dairy farms and bean fields. Developer A. W. Ross saw potential for the area, the Wilson Building had a dirigible mast on top and was home to a number of businesses and professionals relocating from downtown. Rosss insight was that the form and scale of his Wilshire strip should attract and he applied this design both to the street itself and to the buildings lining it. Ross gave Wilshire various firsts, including dedicated left-turn lanes and timed traffic lights and he required merchants to provide automobile parking lots, all to aid traffic flow. 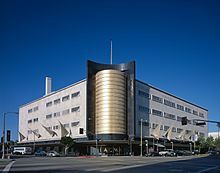 Major retailers such as Desmonds, May Co, Mullen & Bluett, Myer Siegel, and Seibu eventually spread down Wilshire Boulevard from Fairfax to La Brea. Ross ordered that all building facades along Wilshire be engineered so as to be best seen through a windshield and this meant larger, simpler signage and longer buildings in a larger scale. 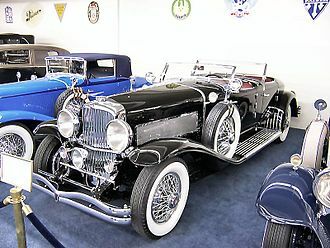 They had to be oriented toward the boulevard and architectural ornamentation and these building forms were driven by practical requirements but contributed to the stylistic language of Art Deco and Streamline Moderne. Rosss moves were unprecedented, a commercial success, and proved historically influential. 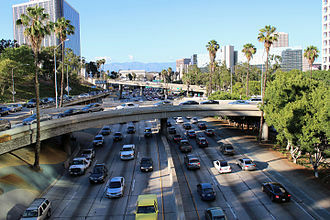 Ross had invented the car-oriented urban form — what Reyner Banham called the linear downtown model adopted across the United States, the moves contributed to Los Angeless reputation as a city dominated by the car. A sculptural bust of Ross stands at 5800 Wilshire, with the inscription, A. W. Ross, vision to see, wisdom to know, courage to do. 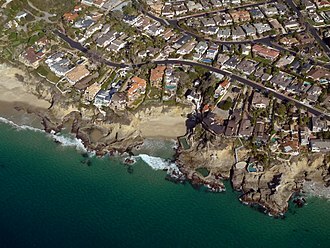 As wealth and newcomers poured into the city, Rosss parcel became one of Los Angeless most desirable areas. Koreatown is a neighborhood in Central Los Angeles, centered near Eighth Street and Western Avenue. Koreans began immigrating in larger numbers in the 1960s and found housing in the Mid-Wilshire area, many opened businesses as they found rent and tolerance towards the growing Korean population. Many of the historic Art deco buildings with terra cotta facades have been preserved because the buildings remained economically viable for the new businesses and it is the most densely populated district by population in Los Angeles County, with some 120,000 residents in 2.7 square miles. 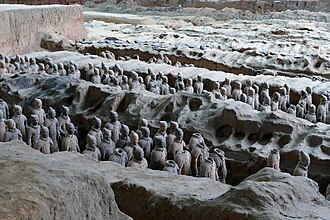 Despite the name evoking a traditional enclave, the community is complex. While the neighborhood culture has historically been oriented to the Korean immigrant population, the community is highly diverse ethnically, with half the residents being Latino and a third being Asian. Two-thirds of the residents were born outside of the United States, the 1930s saw the height of the areas association with Hollywood. The Ambassador Hotel hosted the Academy Awards ceremony in 1930,1931,1932, senator Robert F.
Kennedy was assassinated in 1968 at Ambassador Hotel. About this time, the neighborhood began a steep decline. After most of the structures were demolished, the Robert F. Kennedy Community Schools were built on the site with the first opening in 2009. The once-glamorous mid-Wilshire area with vacant commercial and office space attracted wealthier South Korean immigrants in the 1960s and they found inexpensive housing and many opened businesses there. The relaxed federal immigration rules following the Immigration and Nationality Act of 1965 resulted in an immigrant community. Many of the Art deco buildings with terra cotta facades in the area were preserved because they remained economically viable with the new businesses occupied the structures. The 1992 Los Angeles riots had a significant impact on the community, Korean Americans felt they received very little if any aid or protection from police authorities as a result of their low social status and the language barrier. The liberals sought to unite with other minorities in Los Angeles to fight against racial oppression, the conservatives emphasized law and order and generally favored the economic and social policies of the Republican Party. Mid-Wilshire is a densely populated residential neighborhood in the central region of Los Angeles, California. Its commercial and public-use areas make it the site of museums and research centers, Mid-Wilshire is notable as the most diverse neighborhood or city in Los Angeles County, containing an almost even proportion of whites, Asians and blacks. 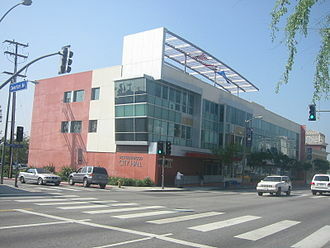 Mid-Wilshire is the home to three schools, an adult school, and seven other schools. 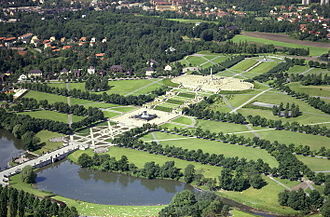 A city park is dedicated to the memory of World War I servicemen, there is a hospital and medical center in the neighborhoods southwest corner. The Mid-Wilshire neighborhood includes, Little Ethiopia is a stretch of Fairfax Avenue. Neighborhood Council, northeast of the Crestview neighborhood, northwest of the Picfair Village district, east of the Carthay Square district, the area has a high concentration of Ethiopian businesses and restaurants, as well as a significant concentration of residents of Ethiopian and Eritrean ancestry. Miracle Mile is a 1. 5-mile stretch of Wilshire Boulevard between Fairfax and Highland Avenues, in the early 1920s, Wilshire Boulevard west of Western Avenue was an unpaved farm road, extending through dairy farms and bean fields. 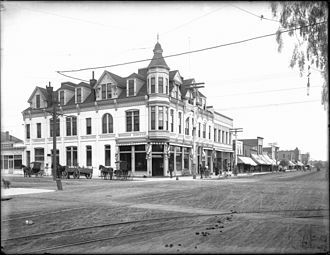 Developer A. W. Ross saw potential for the area, in 1910 the neighborhood was laid out between Wilshire Boulevard on the north and Pico Street on the south, west of the Los Angeles Country Club. It was served by the Pico Street streetcar line, the unimproved lots offered by developer Emil Firth ranged from 50 to 100 feet on the street and were 171 feet deep. The streets were 70 feet wide, with 15-foot sidewalks and parkways, ornamental were to be placed every 300 feet. Lot prices ranged from $1,000 to $2,500 Earlier, the Harriman interests had begun a four-track subway line across Oxford Square, south of Wilshire Boulevard. 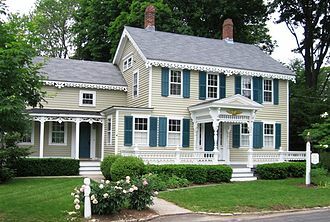 In February 2015 the neighborhood association was lobbying to form an Historic Preservation Overlay Zone and that would have put a temporary moratorium on the issuance of city building and demolition permits. Park La Brea is an apartment complex bounded by 3rd Street on the north, Cochran Avenue on the east, Sixth Street on the south and Fairfax Avenue on the west. With 4,255 units located in eighteen 13-story towers and 31 two-story garden apartment buildings, it is the largest housing development in the United States west of the Mississippi River. Fairfax Avenue is a street in the north central area of the city of Los Angeles, California. 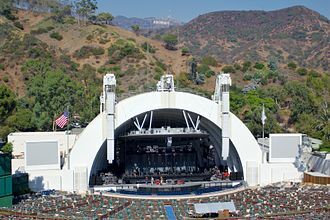 It runs from La Cienega Boulevard with Culver City at its end to Hollywood Boulevard in Hollywood on its northern end. Since World War II, the Fairfax District has been a heavily Jewish neighborhood in Mid-City West, Fairfax High School, on the corner of Fairfax and Melrose Avenue, was known as the alma mater of many entertainment industry personalities. Canters Deli has been a late night hangout in Los Angeles since the 1940s, cBSs Television City is located on the corner of Fairfax and Beverly Boulevard, where thousands camp out to wait for a chance to watch The Price is Right. The former site of Gilmore Stadium, where the minor league baseball team, world-famous recording studio, Cherokee Studios, home to over 250 gold and platinum recorders, is just above Melrose Avenue. The Grove is off 3rd Street and Fairfax, due to the volume of high density attractions, Fairfax is one of the most congested streets in Los Angeles. One Wilshire is an office building located at the junction of Wilshire Boulevard and South Grand Avenue in downtown Los Angeles. Built in 1966, the thirty story high-rise was designed by Skidmore and Merrill, in 2001 the Carlyle Group bought the building for $119 million, and Hines Real Estate Investment Trust in Houston, Texas paid $287 million for One Wilshire in 2007. It sold in 2013 from Hines Real Estate Investment Trust to GI Partners for $437.5 million, One Wilshire was built in 1966 at 624 South Grand Avenue in downtown Los Angeles, on the far eastern end of Wilshire Boulevard. The high-rise was designed by Skidmore and Merrill to be an office building with thirty floors and 664,000 square feet of space. The buildings name was selected by developer S. Jon Kreedman, at one point in its first few decades, One Wilshire entirely housed law offices. One Wilshire is located near SBC Communications/Pacbells central switching station at 400 S. Grand, with its towering, now nearly obsolete, with deregulation looming in the 1980s, Pacific Bell banned competitors from the central switching station. Long distance carrier MCI thus mounted its own station on the roof of One Wilshire. And so began One Wilshires importance as a telecom site, in 1992 One Wilshire underwent a major renovation, with the improvements largely related to telecommunication network upgrades. As the building became a hotspot for telecommunications, the so-called meet me room was constructed on the fourth floor, in 2001, the Carlyle Group bought the building for $119 million, subsequently spending $30 million on infrastructure improvements. 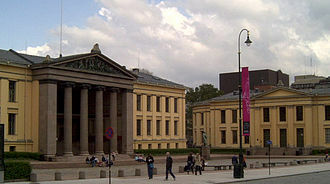 As of 2002, the building had five generators for the event of a blackout, cooling units were primarily on the third floor, as well as on the roof. In December 2006, the Hengchun earthquakes in Taiwan severed a number of undersea fiber optic cables in the Pacific. One Wilshire was one of the able to re-route some of the internet. 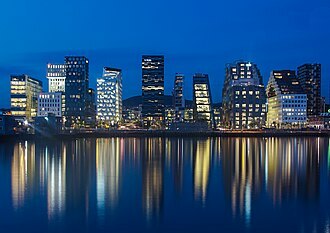 CRG West of the Carlyle Group managed the property as of 2007, around 300 companies had hardware in the building by that time, including Google and carriers from Asia and Europe. The Wilshire Regent is a 23-story,92.47 m full service condominium skyscraper in the Wilshire Corridor section of Westwood, Los Angeles and the 103rd tallest building in Los Angeles. The Wilshire Regent was originally constructed as a co-op in 1963, at the time, it was the tallest building in the area and the fifth tallest building in Los Angeles. The building offered expansive views of Los Angeles including the hills of Bel Air, the skylines of Century City, Beverly Hills, Downtown Los Angeles, and the campus of UCLA. Additionally, many units had views of the Pacific Ocean, though some of these views have since been blocked by newer construction, the building is located across the street from both Sephardic Temple Tifereth Israel and Westwood United Methodist Church. The building originally contained studio and two units, but many units have since been combined. The building was constructed as an upmarket building, and as such includes several amenities. This includes a pool, sun deck, concierge, fitness center, banquet halls, conference rooms, hotel suites. Aon Center is a 62-story,860 ft Modernist office skyscraper at 707 Wilshire Boulevard in downtown Los Angeles, California. It is the third tallest building in Los Angeles, the third tallest in California, the logo of the Aon Corporation, its anchor tenant, is displayed at the top in red. Aon Center was originally named the United California Bank Building from its completion in 1973 until 1981 and it was the tallest building west of the Mississippi River when built, until 1982 when it was surpassed by the Texas Commerce Tower in Houston. Upon its completion in 1973, the building was the tallest in the world outside of New York and it remained the tallest building in Los Angeles until 1989, when Library Tower was completed. Between 1998 and 2005, there were no logos on the building, on May 4,1988, a fire began on the 12th floor just after 10,00 PM, it burned for about four hours. The fire destroyed five floors, injured 40 people, and left a maintenance worker dead because the elevator opened onto the burning 12th floor. The fire was so severe because the building was not equipped with a sprinkler system, a sprinkler system was 90 percent installed at the time of the fire, the system was inoperative, awaiting the installation of water flow alarms. The fire was contained at 2,19 AM. Because of the fire, building codes in Los Angeles were modified and this modified a 1974 ordinance that only required new buildings to contain fire sprinkler systems, grandfathering older buildings. Existing all-concrete construction high-rises are still exempt from this ordinance, the north entrance is level with 6th Street, and is named BL. The east and west sidewalks slope downward to Wilshire Blvd. with steps leading up to the south entrance. Elevators on the side of BL and escalators on the north side of BL both go up to the ML level, where additional banks of elevators reach floors numbered 4-62. No 2nd floor exists, though the height of ML is twice that of ML, the BL/ML elevator goes down to underground levels LBL, LL1, and LL2. The main entrance of the station. Wilshire/Vermont Station is known to have the longest escalator in the United States west of the Mississippi River. The 1939 Streamline Moderne May Company Building marks the western border of the Miracle Mile and "Museum Row". The north entrance of the station. The red sign pillar uses the old design from 2003-2014. The entrance of the station. The red stand-alone sign behind the entrance in this picture uses the 2003-2014 scheme.